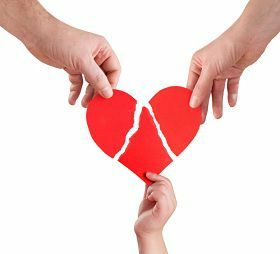 Children in divorces need to know that their relationships with both parents will be maintained. Keeping the routines of children regular and their activities as consistent as possible is extremely important. School represents an important source of routine and socialization for children. School can provide stretches of time in each home where the child is away from one of the parents for up to seven days during a school year. Ideally, both parents are involved with school and related activities. During these periods, when it comes to older school age children, arrangements should remain consistent and predictable. Allowing the child to participate in making the time-sharing schedule will be beneficial for the child. Children want to continue meaningful relationships with family members but they also want them on their terms. It is not uncommon for children to want their parents' availability to be greater than theirs. Many children will feel their needs and wants are paramount and quickly will assess fairness between the two homes. They will judge the homes' availabilities and finances. Children who can drive or have friends with cars should also have consistent and enforced rules and consequences from both parents. Discussions about curfew need to happen, and parents need to communicate with teenagers openly about safety issues, and possibly create a written contract, should the need arise. Finally, it may be beneficial for children to participate in mediation when developing a parenting plan. A therapist may be helpful if conflicts arise.